Dysbaric Illness (DI) * is a term that covers a broad range of complex pathophysiological conditions associated with decompression. Although much of the actual etiology of DI remains undefined, the primary cause is believed to be separation and/or the appearance of gas within the body, whether stationary or migratory, as result of decompression. Gas bubbles form due to inert gas supersaturation or the traumatic injection of gas into the arterial circulation following pulmonary barotrauma. Its manifestations are protean which has led to the recommendation that any signs and symptoms, observed in individuals recently exposed to a reduction in environmental pressure, must be considered as being DI until proven otherwise. This high index of suspicion should be extended to sub-acute and chronic changes and to sub-clinical or ambiguous symptoms that may affect the long bones, central nervous system and lungs. Although primarily associated with compressed gas diving, DI also occurs in association with altitude exposure and other sub-atmospheric pressure reductions as well as in compressed air workers and health care providers attending to patients while receiving hyperbaric oxygen therapy. While the principles of management are similar, the environments in which they may be applied vary greatly. 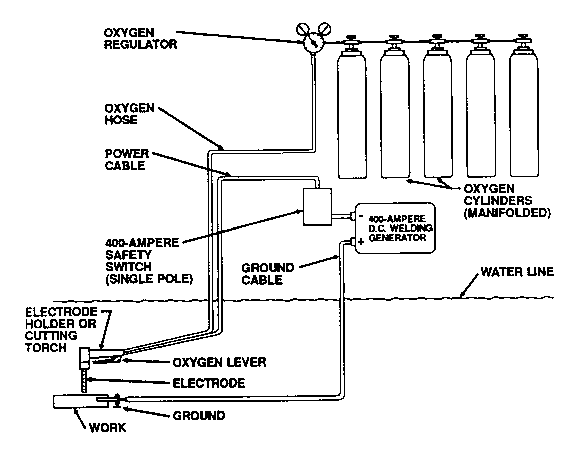 This chapter focuses almost exclusively on the consequences of compressed gas diving. In understanding the study and classification of DI a technical distinction needs be made between disease and disorder: Although often used synonymously, the term disorder is usually assigned to physical derangements, frequently slight and transitory in nature. A disease, on the other hand, is usually a more serious, active, prolonged and deep-rooted condition1. Acute DI therefore begins as a disorder which, depending on its pathophysiology and treatment, may become a disease 2'4 . * Although imperfect, the term Dysbaric Illness (DI) was chosen as the umbrella term for decompression-related disorders and diseases. Although Dysbarism and Decompression Illness have been proposed, these present linguistic challenges and their use is associated with one particular descriptive classification. Although DI conceivably also includes medical problems associated with compression its application in this chapter refers only to those conditions that may develop upon decompression after breathing from a compressed gas source.